Iowa’s 88th General Assembly is being sworn in January 14, 2019, when it begins its work representing the priorities and citizens of Iowa. With Republican majorities in both houses of the legislature and a Republican governor in office, key legislative priorities for the 2019 session are expected to be lowering property taxes, funding mental health systems for adults and children, changing the judicial nominating process, legalizing sports betting, a constitutional amendment related to gun rights, and funding workforce development programs that were created in 2018's legislative session. The legislature will adjourn in spring, once the annual state budget has been passed and submitted to Governor Reynolds. State Government Reporter Katarina Sostaric provides daily reports on the actions of the legislature – reporting on legislative priorities and committees, votes in the chambers, and ultimately, the bills that will be passed during the 2019 session. Her reports can be heard throughout the day on IPR’s News and News/Studio One signals. Mondays at noon, River to River, co-hosted by Ben Kieffer and Katarina Sostaric, is an expanded conversation with lawmakers, those who want to influence policy, and Iowans who may be impacted by legislative action. You’ll learn about why lawmakers are supporting certain priorities. It’s also an opportunity for you to join the conversation to ask questions or share your thoughts. You can join the conversation by calling 866-780-9100 or submit questions via e-mail, Facebook, or Twitter. Our weekly podcast Under the Golden Dome recaps legislative action. Reporter John Pemble summarizes the noteworthy activities of the past week. He takes you to the debates, the rallies, and the events at the statehouse, and captures the evolution of priorities and legislation from the beginning to the end of the session. Republicans in the Iowa House of Representatives voted Monday night to not count 29 mail-in ballots in a close northeast Iowa statehouse race. The 53-42 party-line vote approved a report saying the Iowa House does not have the legal authority to open and count the ballots, and upheld Republican incumbent Rep. Michael Bergan’s, R-Dorchester, win by nine votes over a Democratic challenger in House District 55. Republican Gov. Kim Reynolds released details Tuesday about a proposal to automatically restore voting rights to Iowans with felony convictions, a priority she announced last week in her Condition of the State address. She is proposing a constitutional amendment that would automatically allow people with felony convictions to register to vote after they’ve completed their sentence. That includes completing probation or parole under the current definition. A Republican representative who chairs the House State Government Committee said Tuesday there will be no changes to the retirement benefits system for Iowa’s public employees, or IPERS, in the next two years. Rep. Bobby Kaufmann, R-Wilton, made the announcement in response to what he called “scare tactics” from some groups warning of imminent changes to IPERS. Gov. Kim Reynolds has been sworn in as the first woman elected governor of Iowa. She won a four-year term in November, after serving out the remainder of Terry Branstad’s term. During her speech Friday morning, Reynolds said too often people look to government to solve their problems and focus more on what everyone else is doing wrong. She says social media can be an accelerant for this way of thinking. Iowa lawmakers gave preliminary approval this week to two measures that would expand the circumstances in which loaded guns are allowed on school grounds. One would make it legal for parents with a valid permit to have a loaded weapon on them while they’re in a school parking lot or driveway, dropping off or picking up their kids. It would not allow parents to bring weapons into school buildings. Sen. Brad Zaun, R-Urbandale, proposed the bill. Iowa House lawmakers heard oral arguments Wednesday in the ongoing case of a disputed statehouse race. At issue is whether a special committee of representatives will count 29 mail-in ballots that were left out of the vote tally because they arrived after Election Day without a typical postmark. A central question is whether a timestamp used to date the ballots is usable under Iowa law. Republican Gov. Kim Reynolds delivered her second Condition of the State address Tuesday, but it was her first after being elected to a full four-year term. She called on lawmakers to help implement the vision she set forth in 2018, but it’s unclear how far they will go. 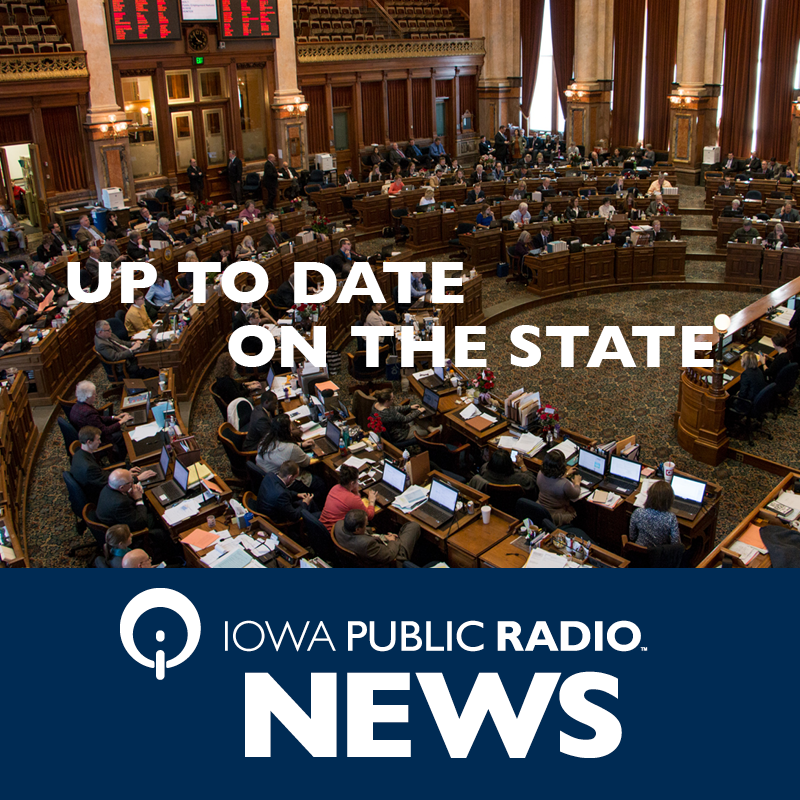 As lawmakers returned to the Iowa Capitol Monday to kick off the 2019 legislative session, Republican leaders said they are excited about having full control of the statehouse for the third session in a row. Party leaders and lawmakers started the day at a fundraising breakfast for Iowa Republicans, where party chair Jeff Kaufmann said the recent elections gave them a mandate to continue their work. Republican lawmakers said Monday they are disappointed and frustrated because a proposal to add gun rights to the Iowa Constitution will likely be delayed or derailed due to inaction by a Republican official. A special committee of Iowa House lawmakers will hear from lawyers Wednesday in the case of a disputed legislative seat for northeast Iowa's District 55. Iowa lawmakers will gavel in Monday to kick off the 2019 legislative session. It’s the third legislative session in a row with full Republican control of the statehouse. Senate Republican Leader Jack Whitver. R-Ankeny, says his members are excited to build on their accomplishments of the past two years. “Just because it’s been done a certain way for 20 or 30 or 40 years, doesn’t mean it needs to be done that way for the next 20 or 30 or 40 years,” Sen. Whitver says. Iowa’s top Republican lawmakers said Thursday they will likely consider changes to the state’s merit-based system for choosing Supreme Court justices during the legislative session that starts Monday. At a forum with reporters, Senate Majority Leader Jack Whitver, R-Ankeny, accused Iowa Supreme Court justices of “judicial activism” over the past two decades. He said “the general populace” should have more say in how justices are picked. In the fall, Republican Gov. Kim Reynolds was elected to her first full four-year term. She says she still plans to meet with her Democratic opponent Fred Hubbell, whom she beat by 3 points. IPR's Morning Edition Host Clay Masters and State Government Reporter Katarina Sostaric sat down with Gov. Reynolds Thursday ahead of the legislative session, which begins on January 14. Animal rights advocates define puppy mills as large-scale commercial breeders where profit is given priority over the well-being of the dogs. According to the Humane Society’s “Horrible Hundred” report, ten of the nation’s worst so-called puppy mills are in Iowa. Iowa’s Republican governor said Tuesday she is open to considering changing how Iowa selects judges. Gov. Kim Reynolds was reacting to calls for change from some conservatives after the Iowa Supreme Court ruled there’s a fundamental right to abortion in the state.